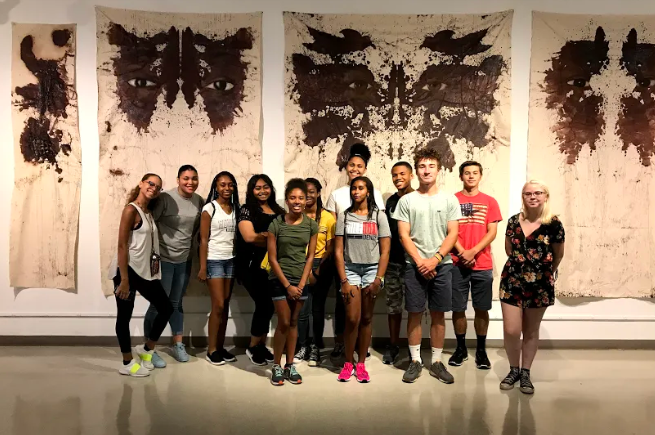 T.H.E (Together Honoring Everyone) Council is a student driven group with the intent to celebrate racial and cultural diversity at Camden Catholic. T.H.E. Council is moderated by faculty members and includes participation from students in each grade level. As our world continues to evolve, Camden Catholic students, faculty, staff and administration need to continue to encourage our community’s well-being, and help to foster collaborative learning among our many diverse students in pursuit of our school’s mission: to educate lifelong learners and leaders in a global society in the Catholic tradition. T.H.E. Council will host events and programming relative to our multicultural community, including Hispanic Heritage Month, African American History Month and Asian American Heritage Month. In addition, we hope to help encourage continued knowledge and acceptance of our community’s cultures, abilities and viewpoints. On Wednesday, August 15, 2018, T.H.E Council took its first trip. First, we visited the African American Museum in Philadelphia. 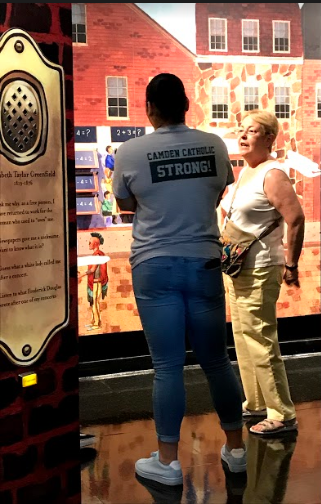 We were exposed to the great impact African Americans had on the city of Philadelphia through the extremely informative exhibits offered to us. 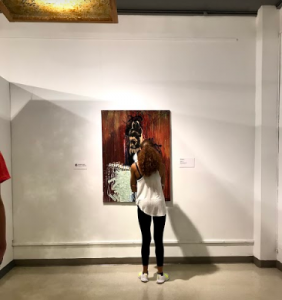 The first was a narrated, interactive timeline “Audacious Freedom,” depicting topics regarding African American culture, politics, family life, and religion. We were also shown various artwork by artists of color from around Philadelphia. These artists included Diane Allen, Lavett Ballard, Russell Craig, Joshua Graupera, Keir Johnston and many others. The other half of T.H.E Council’s journey was spent in Chinatown where we had the opportunity to walk through and experience Chinese culture. We visited the Dim Sum Garden, a Chinese restaurant with authentic Shanghai Soup Dumplings. We sampled delicious Chinese cuisine, and many of us tried things we never had before. This is the first of many ways that T.H.E Council will come together in the hopes of being exposed to different cultures. This will better enable us to gain new perspectives and to be more accepting of what makes us all unique.